Here’s that playbook: The Trade Act of 1974 evolved out of the Progressive Era (the early 1900s under President Teddy Roosevelt), which granted the government the power to intervene when foreign competitors were deemed to be “not playing fair.” Out of that evolved a quasi-governmental administrative agency called the U.S. International Trade Commission (USITC) that acts as sort of a referee in disputes between domestic producers and their foreign competitors. In this case two domestic solar panel companies — Suniva and SolarWorld — filed a complaint under that Trade Act that their foreign competitors were being unfairly supported with subsidies by their governments, allowing them to undercut prices and pushing the American companies into bankruptcy. Whirlpool joined in the fray shortly thereafter, complaining that South Korea’s “unfair” support of local manufacturers were hurting Whirlpool’s domestic washing machine business. 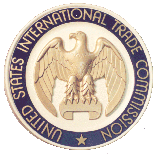 The USITC lent a sympathetic ear and ruled in favor of the complainants. In September the USITC recommended that retaliation for such “unfair” practices be instituted by the U.S. government. On Monday Trump agreed and launched the first salvo in the coming trade war. Viewed in that light, it’s easy to see what’s afoot here. In his attempt to put “America First,” Trump is forgetting all about those who actually pay those tariffs: the American consumer. By making imports more costly (the tariffs range between 30 and 50 percent to be added to the price of those imports), fewer of them will be bought. It’s pure protectionism, allowing companies to exist that otherwise wouldn’t. The fact that foreign companies get subsidies is beside the point: If those governments want to subsidize companies so they can offer American consumers even lower prices, who would argue with that? Free market economists consider such behavior on the part of foreign governments as a gift to the American consumer. But under the “progressive” mantra inflicted under the first Roosevelt administration, companies are now free to complain and seek remedies through force. Trump calls it “leveling the playing field.” The free market calls it “rent-seeking” from companies that couldn’t otherwise compete successfully without government assistance. With the pressure off to stay competitive, companies so protected can relax a little, take a deep breath, and rest easier knowing that their customers will likely be buying their products as their competitors’ products are being priced out of the market. There will be the natural incentive to raise their own prices with those competitors out of the way, reducing demand, and resulting ultimately in fewer workers in those “protected” industries. One other point: Without that competition what incentive will those protected companies to improve their products? Free market economists look at how the Smoot-Hawley Tariff of 1930 exacerbated the Great Depression as the progressive Hoover and Roosevelt administrations sought to protect American companies from foreign competitors. Such a move as announced on Monday also opens another door: retaliation from foreign governments placing similar tariffs and quotas on American made products being offered for sale there. Again: higher prices, less demand, consumers worse off, and consequently fewer people employed in those “protected” industries. In 1930, following the imposition of tariffs on some 20,000 imported goods by the federal government, it took just two months for Canada, America’s primary trading partner, to enact its own set of tariffs. The U.S. economy, already slowing, shuddered and nearly came to a stop. In his attempt to put “American First” by retaliating against “unfair” foreign competition, the president is putting the American consumer last, at least when they are buying solar panels and washing machines. This entry was posted	on Wednesday, January 24th, 2018 at 6:26 am	and is filed under Economics, History. You can follow any responses to this entry through the RSS 2.0 feed. You can leave a response, or trackback from your own site.